Warning: Spoilers may follow for Twin Peaks: The Return. This week millions of breathless viewers bade a sad farewell to Twin Peaks: The Return. After creating Twin Peaks between 1990-1991, David Lynch returned to the small screen once more, if only to show that even after 25 years he is still the master of story-telling. Twin Peaks: The Return, much like it’s previous two seasons, was something that crawled under the skin, and stayed. After the incredible season finale, Frameland writers, came together to write about why Twin Peaks: The Return absolutely blew them away. For me the most interesting scene from the last season of Twin Peaks is from episode 14 where Gordon Cole tells about his ‘Monica Bellucci dream’. Cole describes his Monica Bellucci dream, and recalls Cooper who tells him about a dream he had. Philip Jeffries appears and points to Cooper saying: “Who do you think that is there?” Cole says: “Now this is really something interesting to think about”. David Lynch is known for using dreams, and interpretations of dreams, in his entire work. In these dreams he likes to play with the names used and fantasies of the dreamer. In episode 16, we’ve already learned that Audrey was dreaming the scenes we’ve seen with her and her husband. Part of these dreams took place in her home, and partly in the Roadhouse. Lynch reveals that Audrey was dreaming by showing her to us at the end of this episode where she wakes up. I believe the Monica Bellucci scene, after watching the staggering final episode, is pivotal for this episode and perhaps the entire series. 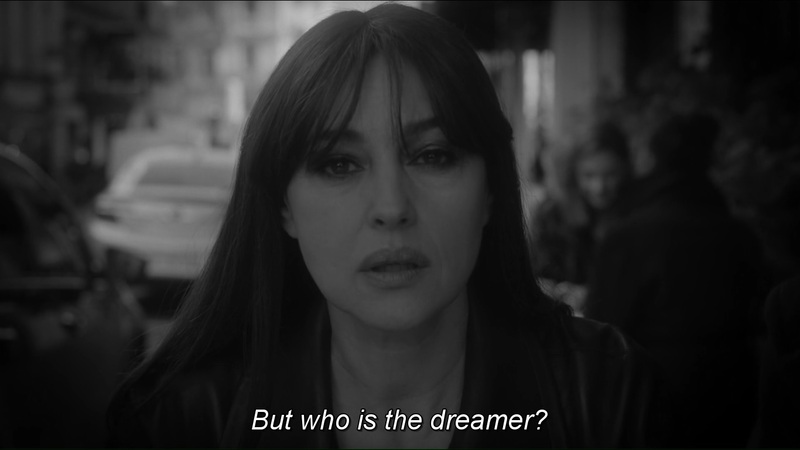 The question, “Who is the dreamer?” may very well be answered with: Laura Palmer. The last episode, and a number of events leading up to it, gives plenty of clues and reason to believe this. First of all Cooper, or Richard(! ), visiting Judy’s. Here we see a slightly different Cooper than we’ve known from the first two seasons. He is violent towards the men harassing the waitress and not as courteous as usual. This could very well be Laura’s dream since she is desperately looking for protection in real life where her father abuses her. Richard, or Cooper, demonstrates his protective nature Laura is in need of. This would also explain the breathtaking scene a couple of episodes earlier where her mother, Sarah, brutally kills a guy harassing her in a bar. The ending of the final episode gives a number of hints of a dream: We hear the name Tremond Chalfont (recall the old lady from earlier seasons). Cooper asking what year it is, which sort of makes him lose his ‘authority’. Then we hear Sarah Palmer’s voice calling for Laura ending up in her horrifying scream. This is Sarah waking her daughter up in real life and Laura realizing that the dream wherein she is safe and protected is not real. The Monica Bellucci dream being a clue to this. Normally when hitting play, footage will play from 1 to 10, with 1 signifying the beginning of a shot, and 10 the end of it. 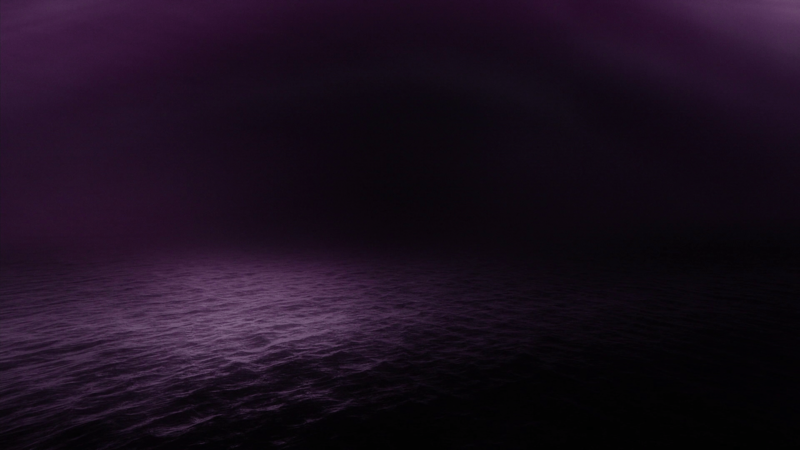 To convey the nonlinearity of the Purple Sea’s time and space (which I’m not sure is still the Black Lodge), the footage loops back on itself before hitting 10, but never fully back to 1. It loops, yet progresses slowly. Looping back to 2 or 3, moving ahead to 10 (or 11 which is a new shot), then looping back to 3 or 4, then forward to 12 or 14, and so forth. This is common practice in avant-garde cinema, the manipulation of existing footage, but up until that point unheard of in a TV Series. Stan Brakhage informed the credit sequence of Se7en (1995), but The Return goes beyond this. This incredible show was suddenly inhabiting the same realm as Martin Arnold’s Pièce Touchée (1989), both similarly terrifying and hilarious. Or during Part 8’s destructive Convenience Store scenes, standing shoulder to shoulder with Peter Tscherkassky’s Outer Space (1999) or Dream Work (2002). And yet The Return never masked the techniques with more formal elements, utilising their uncanny or unsettling effects to their fullest potential. For me The Return read like (an ode to) avant-garde cinema, a type of filmmaking I’ve been passionate about since a very young age. And with every episode, with every experiment introduced (don’t even get me started on Audrey’s scenes), I gleefully witnessed the world eating up this introduction to the language of the avant-garde. And for that I salute you, David Lynch. It’s strange what a fictional television show can do to you. Like Donna said in season one: “I feel like I’m having a nightmare and the most beautiful dream all at once.” I still hear Laura’s scream at the final moments of Twin Peaks: The Return in my ears. I loved everything about The Return, including its ending, but it felt like a kick in the stomach, even if it might, if you think about it, be a sort of happy end. 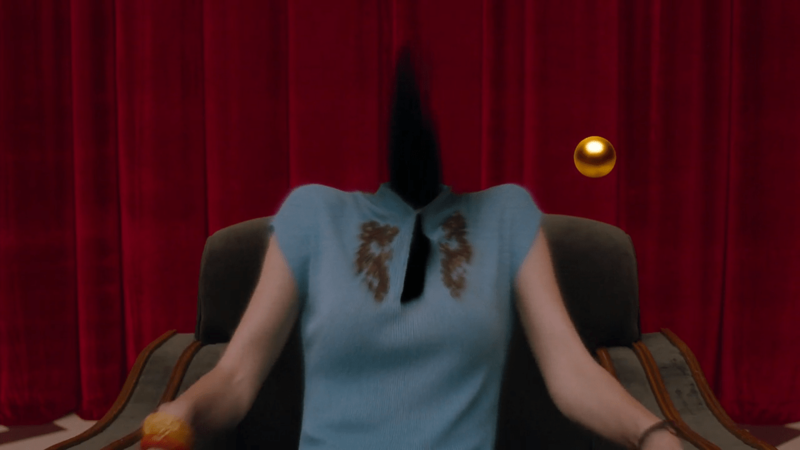 What I loved about Twin Peaks was not only its story, but the metacritique on watching the show itself. David Lynch played with our expectations. The Return is not only about the return of Cooper to Twin Peaks, but the return of the television show Twin Peaks. The viewers really wanted Cooper, cherry pie and Twin Peaks with all its goofy characters back. In a way we did, but in many other ways we didn’t. For most of the new series, Cooper wasn’t Cooper. The whole show was about him returning to his normal self and getting back to Twin Peaks. Mark Frost and David Lynch tested our patience and along the way we got to enjoy many different new characters, like the Mitchum Brothers, Dougie, Janey-E, and Tammy. In the town Twin Peaks, everyone we knew hasn’t changed much. Norma and Shelly still work at the diner, Ed still has his gas station and Lucy, Hawk, and Andy still work at the Sherriff’s Department. 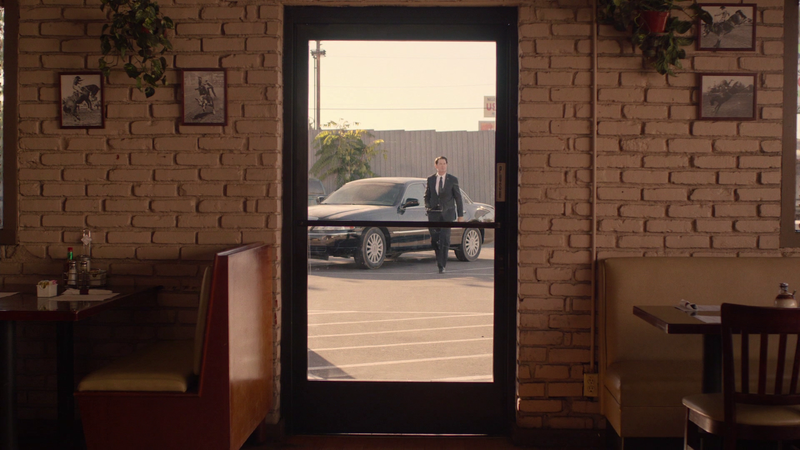 When Cooper finally returns to Twin Peaks in the 17th episode, he rushes into the town. We only get to see the ‘Welcome to Twin Peaks’-sign in a split second. And then, when Cooper travels 430 miles and is in Judy’s timeline, he is in another Twin Peaks – just like we watched a different Twin Peaks. There he needs to find Laura, but her name is Carrie and his name is Richard. We wished Cooper would return to Twin peaks where everything would then be fine, while enjoying some damn fine cherry pie at the Double R diner. But we are in another Twin Peaks. The Twin Peaks we loved doesn’t exist anymore. The Double R is now Judy’s, Sarah Palmer doesn’t live in her house anymore, and Laura Palmer isn’t Laura Palmer. When Cooper asks ‘What year is this?’, it might be addressed to the viewer. We aren’t in 1990 anymore, we are in 2017, and everything is different. But, then we hear Sarah Palmer calling Laura’s name from inside the house. Laura remembers everything that has happened to her and screams. The memories are still there, and for her, they are terrible. Just like we feel terrible. Cooper might be us: trying very hard to remember who he was, which is why he keeps telling himself he is from the FBI. Cooper is becoming Richard, another person, but is still desperately trying to hold on to the Cooper he knew – and we knew. We remember everything and want Twin Peaks back. But everything is different now. You can recreate it, hope for it and remember every detail, but it will never be the same. But maybe – if we just like Cooper hang on to what we knew, there is still a little hope. According to the series’ credits, French-American visual effects company BUF is the only one responsible for CGI and animation in The Return. I love how the very same people who worked on Part 8, with its near-perfect renderings of a nuclear explosion and a Slimy Frog Insect crawling into a girl’s mouth, also gave us the most jarring and garish matte effects. Take the gold seeds going in and out of the Red Room for example: Anyone involved could have easily rendered a 3D sphere with realistic reflections, yet at some point someone in front of a computer screen – most likely Lynch – decided that no, sometimes it’s perfectly okay to use a static two-dimensional image, immediately apparent as Gold_Seed.png. These images are not what audience members would expect from a 2017 Showtime television series, in a time where blockbuster movies are made to look as seamless and real as possible. We’ve been getting plenty of them in these 18 hours: The Silver Mustang Casino’s logo sporting a delicious drop shadow, partly blurred images with visible seams, brutally obvious tiling brick wall textures on fake buildings, a bouquet of fades and harsh color overlays. I’m a big fan. 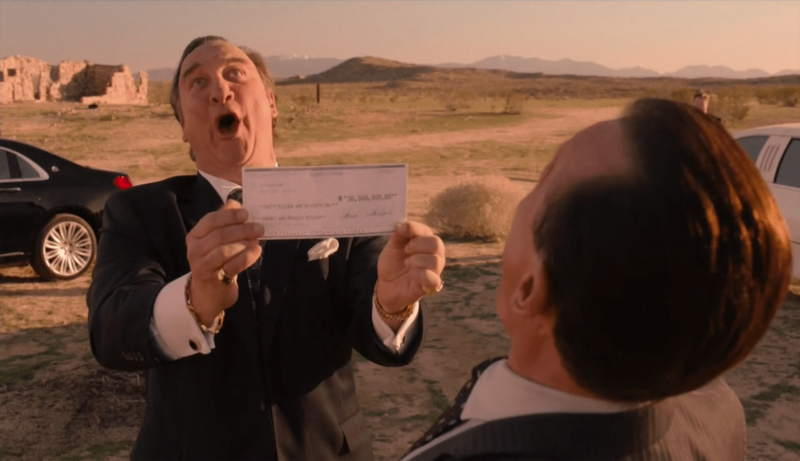 For all I know it could be a joke, but it looks as though Lynch carefully picks and chooses when he wants a realistic effect and when he doesn’t: Twin Peaks will never play by a strict set of explicable rules, visually or thematically – but the range in jankiness perfectly tracks with what’s going on. We’re becoming aware that we’re watching a construct within a construct, dipping in and out of the frame of reference, and then entering a bizarre place in which any of what we’re seeing could be taken at face value. I’m so glad the visual direction went all in on the nightmare and strongly believed that things don’t have to look like they’re from our world when they’re clearly not. Twin Peaks: The Return has left so many details and mysteries in its wake that I imagine I’ll be pondering it over for years to come. One of the things that stood out for me in The Return, however, is all the curious little twists and turns of, for lack of a better word, Fate. Dougie Jones escaped death quite a few times throughout the season thanks to curious tokens, the most popular of these being arguably a cherry pie. Similarly, many characters greeted death or a terrible fate by similar small and seemingly inconsequential decisions. What if Dougie didn’t buy that Cherry Pie? What if the old homeless lady hadn’t been in the casino when Mr Jackpots walked in? What if they left Michael Hastings in his cell before they visited the house on Sycamore Street? 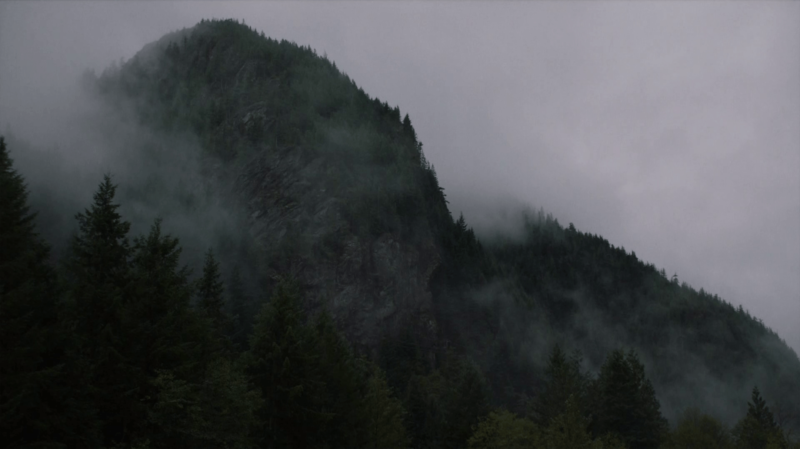 It does not do well to dabble in the realm of “what ifs”, but Twin Peaks forces you to think in terms of the road not taken, the alternative, the impossible. What fascinates me about the fact that in The Return, a cherry pie saved a man’s life, is that with this, our fragile humanity is highlighted, and with no small amount of good humour. David Lynch managed to weave a huge amount of story-lines together, giving due time and respect to every single one, and the result was a television show unfolding with nothing but love for every single character, as well as the love for the greater story being told. 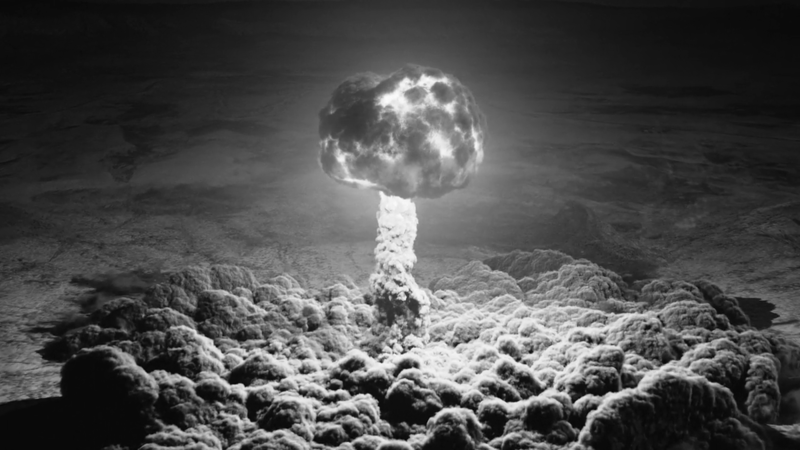 There is a sense of utmost humanity captured in Twin Peaks. Especially when we know the line between life and death, wealth and bankruptcy, and friends and enemies is so simple and complex as a cherry pie.